Yogurt is just plain delicious and nobody can argue against it’s health benefits. But what was once a canadian brand viagra has changed. These days the choices viagra.ca canada are much broader than ever. Many yogurts have fruit and flavour added, some yogurts claim to be fat free, while others advertise low calories or no added sugar. Some manufacturers are adding vitamins, omega-3s and probiotics to further enhance health benefits. 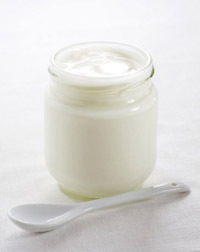 Yogurt is a healthful food made by adding a starter culture of bacteria to pasteurized milk. The bacteria naturally act on the milk’s sugar to create lactic acid, which gives yogurt its characteristic thick, creamy texture and tangy taste. Some yogurts are heat-treated to increase shelf life, which kills the bacteria and its healthful attributes. If the words “live” or “active” are listed in the ingredients then it means that the bacteria is living and functional. Always check labels for nutrient contents. Be award that flavored yogurts often contain additional ingredients such as sugar and fruit. They may contain everything from artificial dyes to preservatives and sweeteners to enhance flavor. (natural or artificial), to ingredients that enhance flavor. Thickeners or stabilizers such as gelatin are commonly added to create a thicker texture and increase shelf life. While not harmful, thickeners and stabilizers are used instead of more nutritious dairy ingredients that can also thicken yogurt. Yogurt is rich in calcium, which is essential for maintaining colon health and reducing the risk of colon cancer. Calcium works with the live cultures found in some yogurt to increase absorption by the bones, making yogurt an excellent choice to help prevent osteoporosis. Yogurt is an important source of calcium for people who have difficulty digesting the lactose (sugar) in milk, because yogurt contains lactase -– the enzyme we need to break down lactose for proper digestion. Yogurt is rich in calcium, B vitamins and essential minerals and low in carbohydrates. It can also be low in fat if made with low fat milk. Eating yogurt may help with digestion, but for yogurt to have this positive effect, you should eat dairy based yogurt. In addition you should eat it everyday or two. Only a fraction of the bacteria it contains can withstand the acidity of our stomachs and reach the intestines. So by eating it regularly more bacteria will remain in your intestines at all time, you should eat yogurt every day. Vitamin D: Some yogurts contain this vitamin, which is important for helping our bodies absorb and use calcium. Vitamin D is especially important for people over 50, who need twice the amount as those under 50. Folic acid: Deficiency of this B vitamin is associated with congenital malformations in infants. Synthetic folic acid added to food is absorbed at almost twice the rate of that found naturally, making its addition to food extremely beneficial to pregnant and nursing women. Low levels of folic acid are also linked to coronary heart disease and stroke. You can find folic acid in Yoplait Source Cardio yogurt. Omega-3s: Since our bodies can’t synthesize these essential fatty acids, we have to get them through food. Omega 3s contribute to normal growth and development of our brain, eyes and nervous system; they can also reduce the risk of heart desease, inflammatory problems and depression.